The protest in Gaza, the Great March of Return, is expected to reach a peak next week on May 15. May 15 is the 70th anniversary of the founding of the state of Israel, and also the 70th anniversary of the Palestinian Nakba, which is the mass deportation of most of the native population in Palestine. 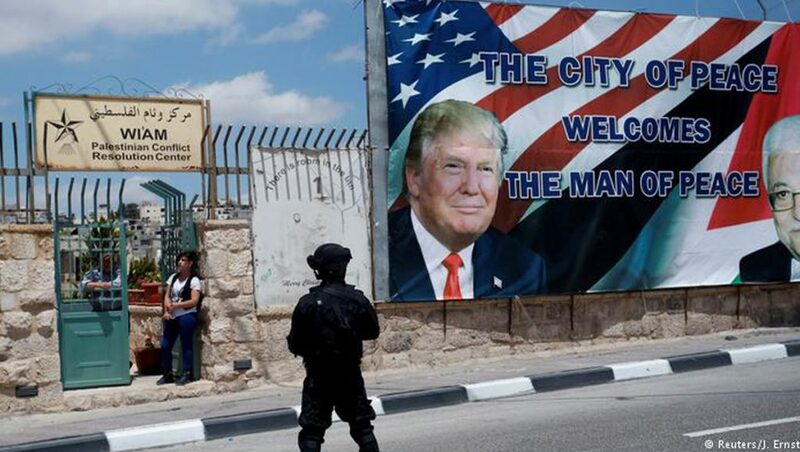 On this highly historic and sensitive day, the U.S. will transfer its embassy from Tel Aviv to Jerusalem in violation of international law, and in defiance of the UN resolutions calling to end the Israeli occupation in Palestine. The U.S. has been the main mediator in the Israeli-Palestinian peace process since 1991. And in light of President Trump’s policies and statements recently, Palestinian President Mahmoud Abbas said that the Palestinians will no longer accept the U.S. as a mediator. He expressed some of his frustrations in March of this year. MAHMOUD ABBAS: More than one American official has said that settlements are legitimate. Their ambassador in Tel Aviv, David Friedman, has said that they, Israel, are building on their own land. Son of a dog. Building on their own land? He is a settler. His family are settlers. He’s the American ambassador in Tel Aviv? What can we expect from him? SHARMINI PERIES: Why is the U.S. the lead mediator for peace between Israel and Palestine? How did this historically come about, and are they the best nation to take a lead on bringing peace to the Palestinian and Israeli people? Well, let’s speak to a historian on the subject, and Professor Ilan Pappe is going to join us for that. He is a historian and activist. He teaches at the College of Social Sciences and International Studies at the University of Exeter in the UK, and is the director of the university’s Center for Palestinian Studies. Ilan Pappe used to teach in Israel at Haifa University, where he exposed critical documents and revealed previous unknown facts about ethnic cleansing of Palestine in 1948. He has written over 20 books. He joins us from Exeter, London today. I thank you so much, we are privileged to have you here, Ilan. ILAN PAPPE: It’s a pleasure to be on your show. SHARMINI PERIES: Ilan, why do you argue that Palestinians are better off without the U.S.? ILAN PAPPE: Well, the reason is a retrospective historical analysis, going back to the aftermath of the June ’67 war, when American mediation became hegemonic and dominated the peace efforts. And ever since that moment the negotiation ended in loss of land for the Palestinians, expropriation of land by the Israelis. And every year that passed under the umbrella of American mediation, life for the Palestinians in the West Bank, in the Gaza Strip, and wherever they were became harsher. And because of this alleged peace process it was very difficult to recruit international support against the continued Israeli oppression and colonization. SHARMINI PERIES: Ilan, historically, before the U.S. assumed this role as the mediator and got involved, who was talking about bringing peace? Who were the main players and negotiators? ILAN PAPPE: Well, during their mandatory periods when Britain was ruling Palestine, Britain was the main mediator, and the Palestinians did not fare better under their mediation. Between ’48 and ’67. There was hardly any mediation effort. But if there was any, it was conducted by the United Nations. The United Nations position was a bit better than that of the Americans. But as you know, this international organization then and this international organization today doesn’t have any teeth. And therefore its mediation efforts usually do not lead to any significant change in the reality on the ground. SHARMINI PERIES: Now, Ilan, historically over these 70 years no one has really been very successful as mediators. What options do the Palestinians have? A mediator that Israel would accept, and where the decisions made under such negotiation would stick. Or are we even there, to have that kind of dialogue at this time? ILAN PAPPE: Well, I don’t think the issue now is finding a mediator. The issue is really changing world public opinion and perception about the essence of the problem in Palestine, and what needs to be done in order to change the reality on the ground. What you need, I think, now is more or less what you needed in the last days of apartheid in South Africa. You need sustained international pressure on Israel first and foremost to end the oppression, to end the occupation, and only then to start proper bilateral direct negotiations. So I think if we will be now looking for a new mediator, this will not change the reality as much as would a sustained campaign of pressure, and a recognition that the problem in Palestine is not the lack of peace, but the continuation of the colonization that has started 100 years ago and has not ended ever since. 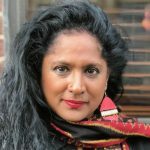 SHARMINI PERIES: And Ilan, would you argue that that sustained campaign for international attention, and making people more conscientious about what’s going on in Palestine, needs to be peaceful? ILAN PAPPE: Well, I think that, you know, the term peaceful sometimes means that Palestinians are not allowed to have a popular resistance, which I think they do. Of course it would be much better than resorting to suicide bombs, or launching of missiles. But I think the main issue, if I may add, is not just the sustained pressure. The sustained pressure needs an endgame. And I think we are waiting for the Palestinians themselves to redefine the liberation project in light of recent developments, and put forward their vision of a democratic Palestine in which Jews and Arabs could live together as equal citizens. And I think that once the endgame is clear, also the method of bringing it about with the help of international pressure would be clearer. And therefore it’s not so much a question of peaceful protest as much as is a clear vision, a clear endgame to which these protests would lead to. SHARMINI PERIES: Ilan, thank you so much for joining me for this segment one. Please join me again for segment two, where we will continue this conversation with Ilan Pappe. SHARMINI PERIES: Welcome back to the Real News Network. I’m in conversation with Professor Ilan Pappe. He’s a historian and activist. He teaches at the College of Social Sciences and International Studies at the University of Exeter in the UK, where he is also the director of the university’s Center for Palestinian Studies. I thank you so much for joining me again, Ilan. ILAN PAPPE: It’s a pleasure to be again on the program. SHARMINI PERIES: Let’s continue our conversation. When we ended the last segment, we were talking about the nature of the sustained campaign that needs also an endgame. How do you imagine such a campaign? ILAN PAPPE: Well, I think we already have some very encouraging beginning in the form of the BDS movement, the Boycott, Divestment, and Sanctions movement, which galvanized successfully the international public opinion and sent a very strong message to Israel that its continued policies of oppression is not accepted, and there is a price tag attached to it. Now, I propose the next stage is to move from boycott to sanctions, namely the ability to bring governments also to recognize that this is a legitimate and a very useful tool in order, first of all, to stop the oppression on the ground before creating conducive circumstances for negotiations about the future. There are also indications that this might be beginning with the EU sanctions on Israeli goods that come from the occupied West Bank. So it’s a long, it’s a long journey, but I think this particular path, the path of international pressure, is quite successful. What we are looking for is to see more progress on the Palestinian domain, where there is lack of unity. There are no clear messages about the vision of the future. And there’s a bit of a disarray, quite understandably, given the fragmentation of the Palestinian people in the last 70 years. But nonetheless, they are the only ones who can push forward the liberation front and give us all an indication where it should go. SHARMINI PERIES: All right, Ilan, and now, you mentioned BDS campaign and its successes, and those are rather notable. You know, we have more and more student organizations in the diaspora taking up this mission. It is also something that has the resources behind it. And we see its success. And and that’s very encouraging. However, are there other signs that the campaign that is currently under way is having a impression, and a shifting of opinion out there? ILAN PAPPE: Well, it’s difficult to find yet a clear indication that this position in the civil society has reached the upper echelons of policymaking, although there were some indication that politicians, senior politicians, who are, who identify with the struggle for Palestinian rights, such as the leader of the Labour Party Jeremy Corbyn, and in some respects also Bernie Sanders in the Democratic Party, are beginning to take a more central stage in politics. It’s still not enough. And it will take a while, I think, before brave politicians would represent authentically and democratically what most of the electorate around the world who would like them to do with regard to Palestine. It’s not that the societies do not anticipate more serious action on behalf of the Palestinians. It’s just that the politicians are too timid or uninterested at this stage to represent these demands from the bottom up. SHARMINI PERIES: Ilan, you’ve indicated that the U.S. is not the appropriate mediator for the Palestine-Israeli conflict. Now, why are you saying that? Are there any role that the U.S. could play that would be constructive and useful for both on the ground? Well, the Americans, from the very beginning of their mediation effort, were a biased broker. They represented only the Israeli point of view. They disregarded totally the Palestinian perspective, narrative, and aspirations, and they saw their role as convincing the Palestinians in accepting any Israeli dictate, with various degrees of conviction, and with different methods that were a bit different from one administration to the other. But all in all, they wanted to play the role of pacifiers in the name of Israel, in order to create a more conducive environment for their policy in the region. And they were not interested, really, in restoring justice, peace, and reconciliation. Now, in order for the United States to play a more constructive role, you need a basic change in the American perception of the conflict. I think even people like President Obama did not understand properly what the conflict was all about. Some of them, cynically, some of them genuinely misunderstood what is the problem in Palestine. And before such a realization would develop, it’s very difficult to see what kind of a constructive role the Americans can play in this kind of process. May I just add one sentence, that of course should those segments of the American civil society who joined the BDS, or understand the need to pressure Israel, put pressure on the American government to have the leading role in such pressure, as happened eventually in South Africa, that would be a very positive contribution to end the conflict in Israel and Palestine. SHARMINI PERIES: And Ilan, finally, let me ask you what needs to take place within Israel and the state of Israel, as well as in terms of civil society in Israel, for a constructive dialogue to really take root. ILAN PAPPE: Well, in many ways, you need to deprogram the Israeli Jewish society, to de-Zionize it, to decolonize it. There is a certain ideology that informs most of the Israeli Jews, which is racist, which doesn’t have any place for a genuine reconciliation with the Palestinians. And until we don’t start such a process of transforming the Israeli mindset, and basic attitudes to the Palestinians, which is based on human and civil rights, it will be very difficult to convince the Israeli society to give up the privileges that they have enjoyed in the last 70 years. SHARMINI PERIES: And Ilan, before you go, were there a period since 1948 when this seemed possible, in terms of the Israeli psyche in terms of achieving peace? ILAN PAPPE: No. I think, unfortunately, the 70 years of Israel’s existence did not offer many periods or moments in which the kind of persons I was talking about was possible. We have to remember that in ’48, the catastrophe left the Palestinians and Palestine in ruins, and it took a while for them to regroup the great liberation movement. And by the time they did it, the Israelis already established their control over their country, and received international legitimacy for the dispossession and ethnic cleansing of Palestine. So I think we cannot really draw on any precedent from the past. We will have to create afresh a new approach if we really want to bring peace and reconciliation to this torn country. SHARMINI PERIES: All right, Ilan, I thank you so much for joining us today. This has been a very interesting dialogue, and I hope that you can come on the Real News, and continue to unpack and help people understand what has happened in the, in the, not only in Israel-Palestine but also in the regional context to build that campaign you’re talking about. ILAN PAPPE: OK. I would love to do that. Thank you.